Tim Henman's coach Paul Annacone is one of a number of high-profile recruits joining the Lawn Tennis Association's bid to revive the British game. He will spend 20 weeks of the year supporting new head of men's tennis, former Davis Cup captain Paul Hutchins. Belgian Carl Maes, who has coached Kim Clijsters, is the new women's tennis chief, working alongside Nigel Sears. The LTA announced a total of seven appointments on Thursday as part of its new "Tennis Leadership Team". Hutchins gets the key position but can call on Americans Annacone and Brad Gilbert to "create a new 'winning' culture both with our players and coaches". Gilbert was taken on by the LTA in July to work with British number one Andy Murray, as well as "other projects". Peter Lundgren, who has worked with Roger Federer and Marat Safin, then joined the Great Britain team as Davis Cup coach last month before LTA chief executive Roger Draper unveiled a blueprint for the future of British tennis. The new line-up is the result of what the LTA called "an extensive worldwide search" for new coaches. "We asked for 'world-class' and that is what we have. The real job starts now for the team," said Draper. 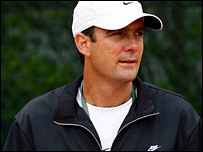 Annacone had been in contention for the position of head of men's tennis, but was unable to take it due to family commitments. "We would have loved Paul to live here full-time, but we have the best of both worlds," said Draper. "We didn't want him to be sat behind a desk looking at structures; we wanted him out on the court doing what he does best." And Draper denied that it was a backward step to appoint Hutchins, who was heavily involved with the LTA until 1987. "I don't think it is," Draper told Five Live. "A big part of Paul Hutchins' role is to get the system and the organisation in place and make sure the investments are going in the right areas." Maes has arguably the toughest job in tackling the desperate situation in women's tennis - the highest ranked British woman is Anne Keothavong at number 144. 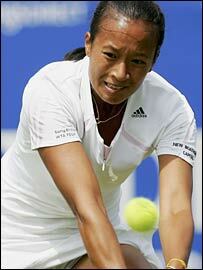 "Carl is one of the most experienced and respected women's coaches in the world," said an LTA statement. Maes will be supported by head coach Sears, a former coach to top players Daniela Hantuchova, Amanda Coetzer and Barbara Schett. Henman said the appointment of his part-time coach Annacone made perfect sense. "He's not one of these guys that needs to raise his voice to make a point," Henman told his own website. "But he has a tremendous knowledge of the game, and working with him has been a very enjoyable experience so far. "I think appointing him is a positive move by the LTA. "Our relationship has been nice and flexible. I haven't wanted a full-time coach, and he hasn't wanted to travel all the time because of his family - so it's worked well, and I expect it to continue next year."